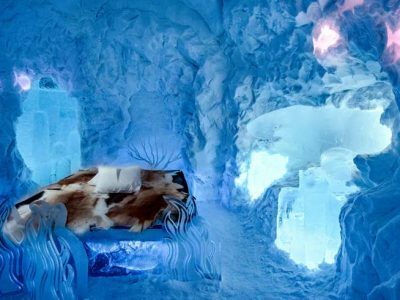 Experience the coolest hotel in the world – the original Ice hotel in Swedish Lapland. We fell under the spell of the Icehotel when it first emerged beside the Torne River in the village of Jukkasjarvi back in 1990 and nearly three decades later, we’re proud to be its leading worldwide partner, offering an unrivalled collection of Icehotel holidays. 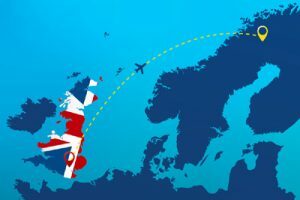 We also operate the UK’s only direct flight to Kiruna – getting you straight to there in just 3.5 hours. 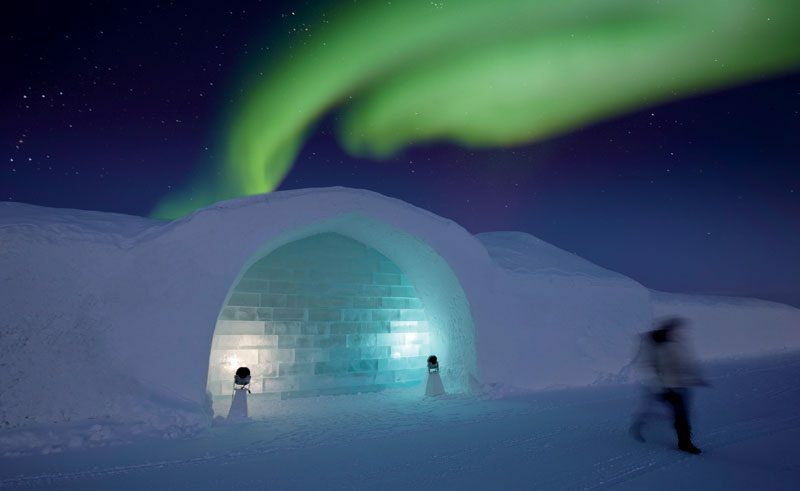 Our close working relationship with the Icehotel has meant we have devised a collection of breaks that showcase this magical creation to the full and our clients are assured the best experience possible. From a classic three-night winter break to multi-centre holidays combining this amazing destination with Norway or Iceland see our full collection of Ice hotel holidays. Opened in 2017, Icehotel 365 is a permanent structure, offering the experience of sleeping on ice year round, thus allowing the chance to combine with exploring Lapland under the midnight sun. Maintained at sub-zero temperatures by solar power during summer its domed roof is covered in wild flowers, while in winter, it blends seamlessly with the adjacent winter structure. Set in a pristine wilderness of snowclad pine forests and frozen lakes, the Icehotel is the ultimate winter wonderland – an unforgettable destination for a weekend break, action-packed northern lights adventure or indulgent winter getaway combining extraordinary accommodation and fine dining. 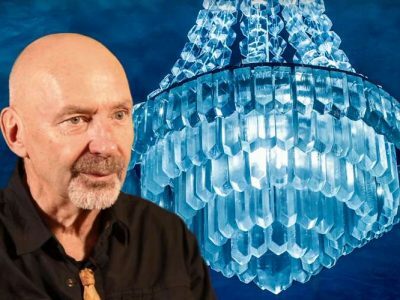 From the moment you step inside the door, you’ll understand why this hotel is famous the world over – from it’s hallways lined with ice art and glittering chandeliers, to the atmospheric ice bar, you won’t be able to stop yourself being swept away by the magic. The ingenuity of the design and construction has to be seen to be believed and, with an interior temperature kept at a constant -5°C, it really does take your breath away. Over 1,000 tonnes of ice and 30,000 cubic metres of snice are harvested each winter from the nearby Torne River before being crafted into the original Icehotel. Come late April and this seasonal Icehotel simply melts back into the river. 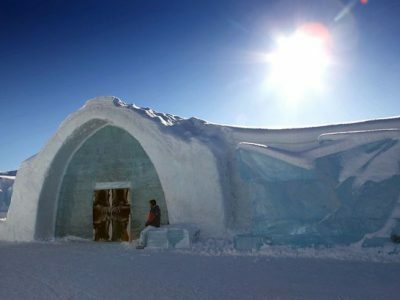 How cold is it inside the Icehotel? When can I visit the Icehotel? What type of room should I stay in? Sitting well above the Arctic Circle in the tiny village of Jukkasjarvi, the Icehotel is in a great location for viewing the aurora borealis. During the evening, aurora watchers head down to the frozen river to gaze at the night sky in expectation of viewing the northern lights – possibly after enjoying a cocktail or two in the Icebar. Alternatively, there is a range of enticing excursions from husky safaris to snowmobile tours operating in the evening deep into the wilderness that offer excellent chances to view the aurora, if the cloud conditions permit. However, if seeing the northern lights is your priority, we recommend combining your Icehotel experience with an overnight stay in Abisko National Park visiting the Aurora Sky Station – one of the best places in the world for northern lights! We spoke to Icehotel's chef, Alexander Meir; the Michelin-trained head-chef of the twelve-course Chef's table at the Veranda, Icehotel The Chef’s Table is much more than just a dinner, it welcomes guests to a unique exquisite food experience with the local food culture. Meet Father and Daughter Duo, Jonathon and Marnie Green. Designers of 'the Living Ocean Suite' in the 29th edition of Sweden's Icehotel. We caught up with Jonathon to find out a bit more! 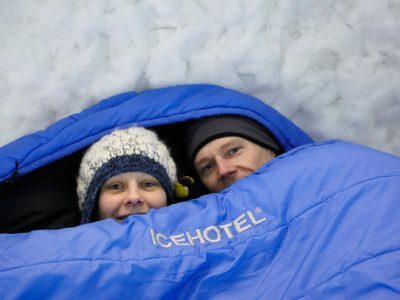 Blogger and Adventurer, Sophie Radcliffe, visited the Icehotel last season with us. Read about how she ticked off a number of bucket-list experiences during her trip. We recommend sticking to the 'layer principle' rather than packing lots of bulky items. From a first-timer's 3-night break to a multi-centre escape combining Norway and Iceland into the itinerary, read on to find out the various ways you can experience the Icehotel. The 16/17 Icehotel build marked 10 years of our exclusive direct flight to Swedish Lapland and to celebrate, we took a look back at some of our favourite Art Suites over the years.